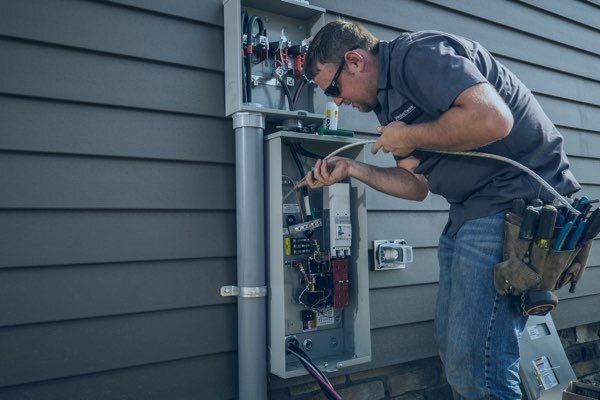 Although we are best-known for selling and servicing appliances, generators, and other major home products, Millersburg Electric has been providing quality contracting services to home and business owners throughout Ohio since 1945. No project is too small or large for our team – we can tackle anything from fixing a bad switch in your kitchen to installing electrical systems in large industrial buildings. And, just as you would expect from a business with our reputation, we make sure every client gets personal service and the support they need after we’ve left. Why Hire Millersburg Electric Contractors? For 70+ years we have been helping homeowners and businesses to install, upgrade, and repair their electrical systems. Our experienced technicians can handle virtually any project, no matter how small or large. Just as importantly, we have earned a reputation for going above and beyond on every call. 24-hour emergency service across a wide area. Access to partnerships with area contractors on “design and build” projects. On-site help with our bucket trucks for fast work in high up, hard-to-reach areas (for example, lighting poles in parking lots). The peace of mind that comes with having a vendor with such a long and distinguished track record. Contact us today to talk about your electrical contracting project needs! Electrical Contracting Manager Kevin Bamford has over 30 years of experience in electrical construction. He has been with Millersburg Electric for more than 15 years, having served as a foreman for many large construction jobs in Miami, Florida. Kevin now brings his technical expertise and ability to manage large projects to the service of our loyal customers throughout Ohio.